For the first time in a while; the September Bear Club pack was ready close to on time. This issue has I think now been addressed and we should be seeing the Bear Club released on a more regular basis and with better communication. This is definitely the most Australian Bear Club Pack that I can remember. Out of the 9 beers we only 2 from overseas, including one from our nearest neighbour; New Zealand. 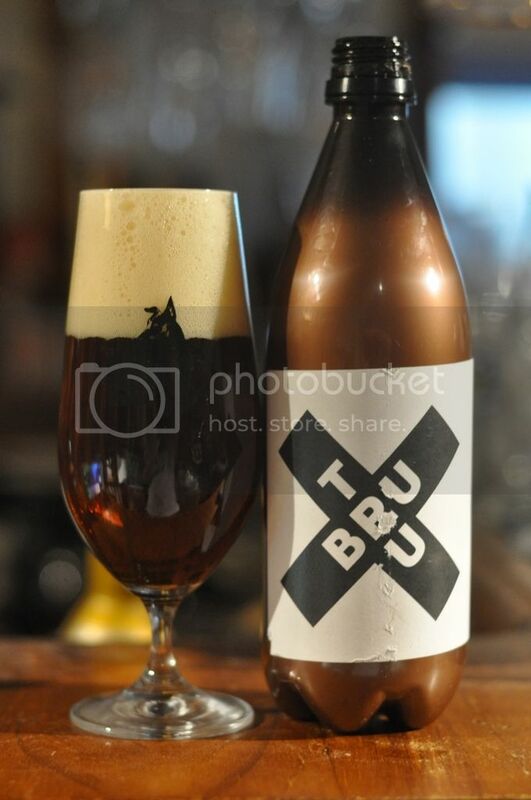 The beer I'm most looking forward to however is the Rasputin, also known as Disputin in the United States after a lawsuit with North Coast who produce a stout called Old Rasputin, from De Molen in the Netherlands. Dainton Family Brewing is one of the more interesting players in the Victorian craft beer scene. Dan, the head brewer, has a love of Rye as shown in the first Bear Club beer this month; Samurye. It's a Rye Lager and it's everything you'd hope it would be. It's got that wonderful rye spiciness and there is plenty of citrus coming from the hops. I've had this beer a few times on tap and normally have one everytime I see it, it's great! The next beer I actually muled back from South Australia after a work trip. Prancing Pony's Black Ale is a Black IPA, which is definitely towards the more sessionable end of the spectrum. It's not hugely roasty, but has nice hop bitterness. Definitely worth driving the keg 800-odd kilometres to try. Clifton Hill Brewpub is, I'm pretty sure, the closest brewery to work (CUB might just edge it...). This said I'm quite familiar with their range. In this month's Bear Club we got to sample their GABS beer, The Dark Hill. It's a coffee infused, barrel aged version of their regular Dark Ale. It's packed full of coffee with sourness flitting in and out of the picture, although that sourness is quite demure. 8 Wired Saison Sauvin is a beer that I have loved and hated at different times. Nelson Sauvin, the hops used in this beer are some of the most divisive in the beer industry. On this occassion I loved the Saison Sauvin, I had it with some excellent sushi and I think this really brought out the best in it. Black Dog Brewery is one of my favourite breweries to visit in regional Victoria. Their flagship IPA is called Leader of the Pack and was included in the September Bear Club. The has excellent bitterness, with pine and citrus flavours dominating. It's got a good solid malt backbone, without being overpowering. If you ever get the chance, go sample this beer at the source in Taminick. The GABS beer from Bright Brewery was next up for me. Lord Helmet Schwartz was the name of the beer and it was great. Schwarzbier's don't get enough love in this country and this licorice infused offering will hopefully encourage more brewers to dabble in the style. I've heard this beer is going to be released seasonally now, which, if true, would be a great result! Dilletante Brewing Company is a relatively new Melbourne microbrewery. Robots vs Dinosaurs is a roasty porter with nice chocolate and coffee notes. There's also hints of dark fruit, possibly cherries, and a nice citrus hop presence. This went down brilliantly on an unseasonably cold Melbourne November night. Now having sampled this beer I've had all of their releases to date, but know very little about them. If someone has any information on these guys hit me up via the usual channels. Last but not least for this Bear Club pack is Kaiju's GABS offering; Betelgeuse. 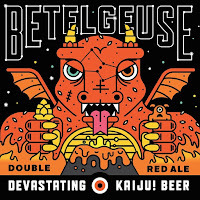 This beer, even by Kaiju standards, is a monster! It's making it's second Bear Club appearance and is just as good as I remember. It's such a full on beer with malt and hops perfectly balanced, but in an enormous way! At 10% it's dangerously drinkable as the ABV is so well hidden. 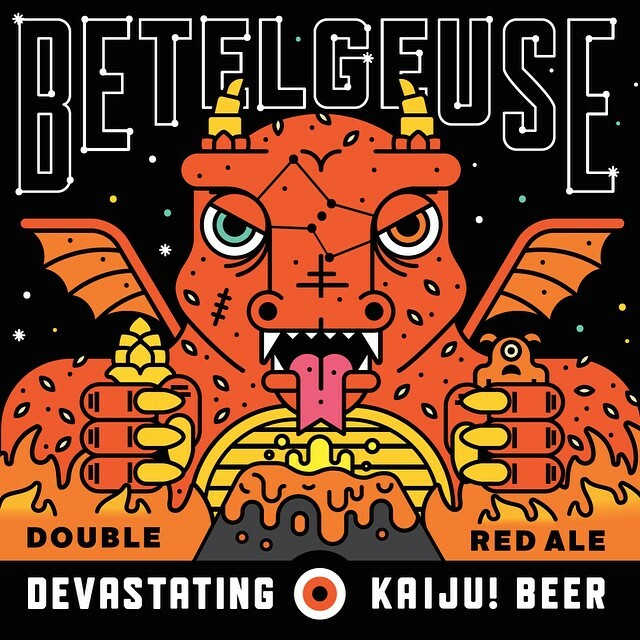 As is my recommendation for all Kaiju beers, buy it! So there we have it guys, another selection of beers that really showcases what the Bear Club is about; hard to source beers. I'd really encourage people to join this club, if you like different beers (seriously why are you reading this post if you aren't even a little bit interested?). If you think this may be you, call Anton at Tru Bru and tell him I sent you. Cheers guys.